The Belize DigiCell PrePaid service works with any unlocked, dual band 850/1900 GSM handset, so there is no need to rent a phone while you are in Belize. Simply swap your existing SIM card for a Digicell SIM card, load your FREE $10bz/$5us card onto your account and then you’re all set. You can make and receive calls immediately! Order your SIM Pack today and have it sent to your home address so you can give your new Belize number to your friends and family. Or if time is short, we can email your new mobile number and deliver the SIM Pack to your Belize hotel/address. 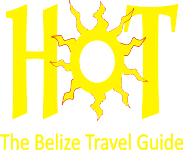 Calls within Belize are charged at 53 Belize cents per minute – or just 25 cents if your call is longer than 5 minutes. International rates vary but off-peak calls to the US are just 40 Belize cents per minute (30 cents for calls over 5 minutes duration). Click for a full chart of international rates. Text messaging is 25 cents per message both locally and internationally. Calling Minutes for even less. Your SIM Pack includes $5us of free calls. But if you need more calling minutes, purchase them via the form below and we will give you a 5% instant cash back. This offer also applies on double and triple credit days to save you even more. You can even pre-order your minutes and we will add them to your account on the next promotion day. Never miss out on double/triple-up days again! !